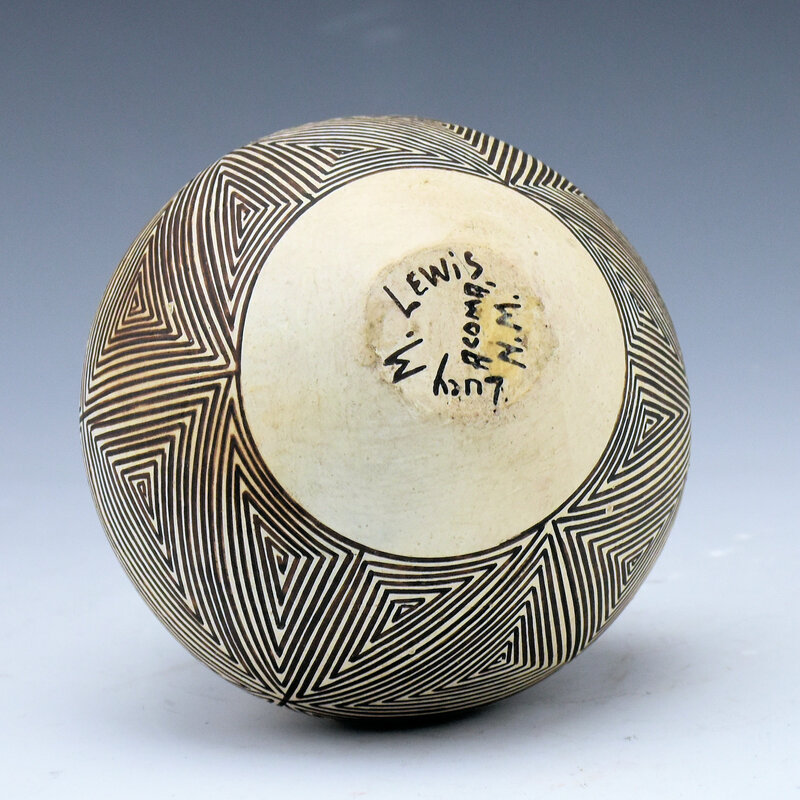 Lucy Lewis is one of the great Matriarch potters of the 1900’s. 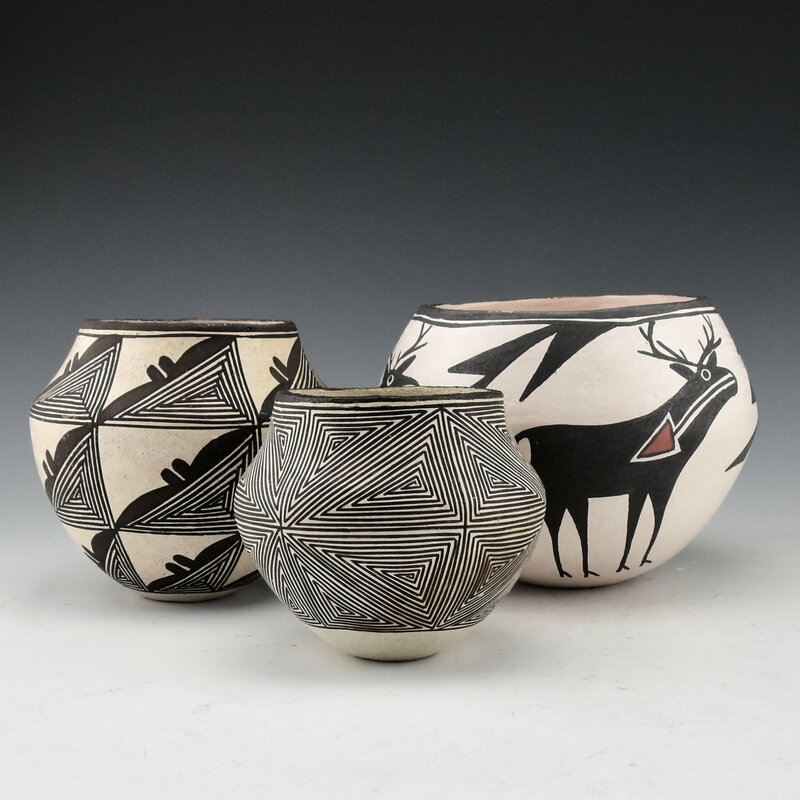 She was an important revivalist of Acoma pottery throughout her career. 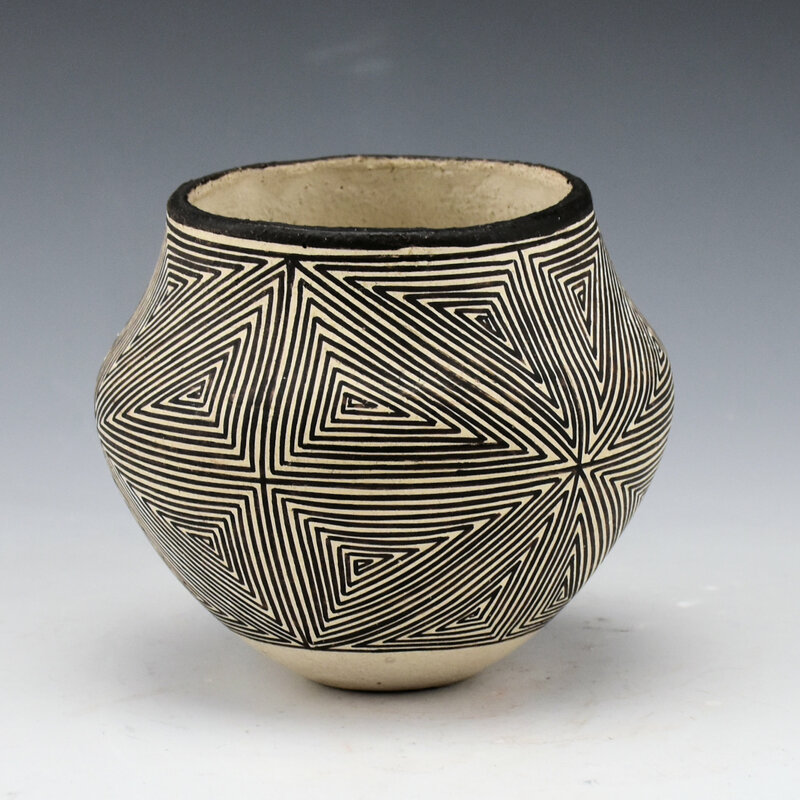 This jar is coil built and painted with a fine-line star pattern. 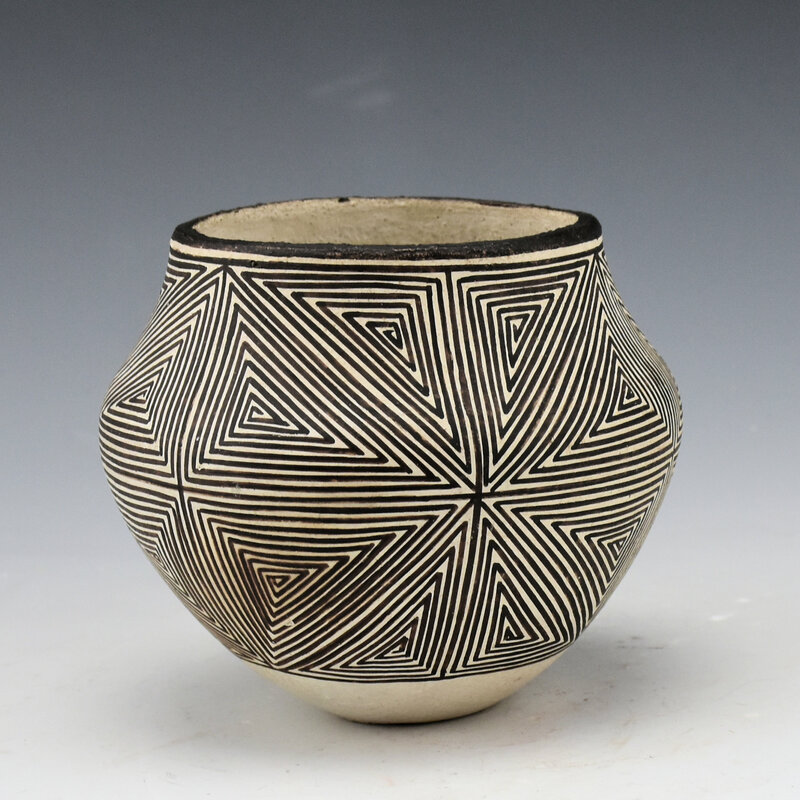 There are two different star patterns on the bowl, one with four points and one with eight points. 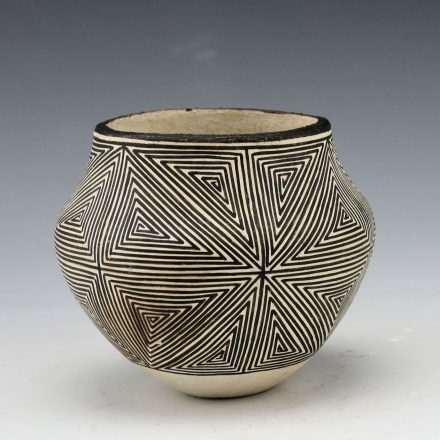 Lucy would paint her pieces with bee-weed for the black and each piece was traditionally fired outdoors. 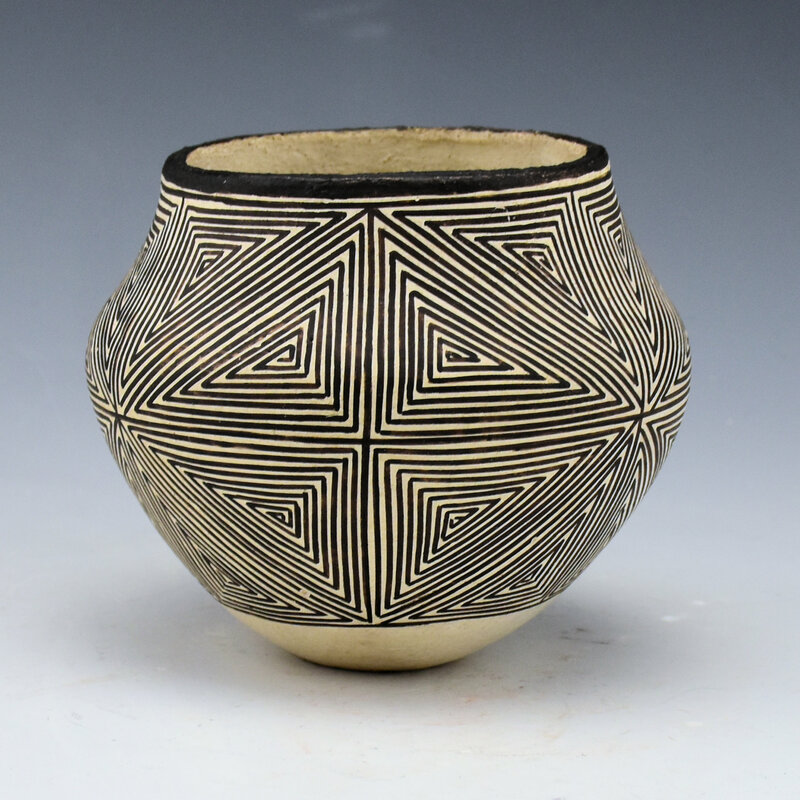 This bowl is in very good condition with no chips, cracks, restoration or repair. It is signed on the bottom, “Lucy M. Lewis”.